Firstly, Kathi and I wish the the most healthy, happy and prosperous New Year! A new kit is ready, or nearly ready, for you to start your New Year off. Welcome to 1880, where the garments fit close to the figure and cut narrowly to accentuate a thin silhouette. The stand up lace collar with lace jabot adorns the top of a long jacket and vest that extend below the hips. Sleeves are long and tight. Foundation skirts if not tight to the body tied behind the knees, as this is to draw all the fullness to the rear. Draped apron front and back finish out the iconic look. The pleated or ruffled hem gathers to the back and flare in a slight train. Her jewelry is impeccable with a gold broach and jewel and pearl earrings. The accenting hat ties under the chin and simply decorated. With her leather belt bag and velvet muff, she is ready for a day of strolling in the park. The porcelain is meticulously painted by Gisele Sullivan and ready for assembly. 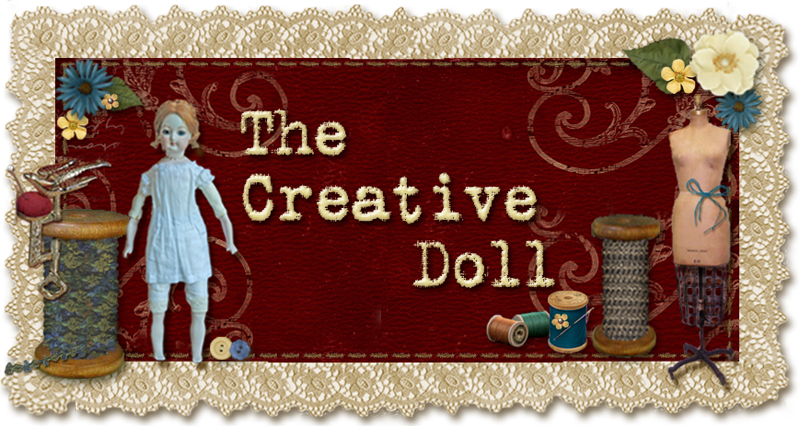 The kit includes porcelain doll parts, hair, fabrics trims, pattern and nearly everything you need to complete the project. Merry Christmas to all...and to all a Good Night!